Jubilee Gardens lie between the River Great Ouse and Broad Street, providing a "green link" from the river via The Park, up to the Porta and Ely Cathedral. The gardens were developed by East Cambridgeshire District Council, following broad-based public involvement. 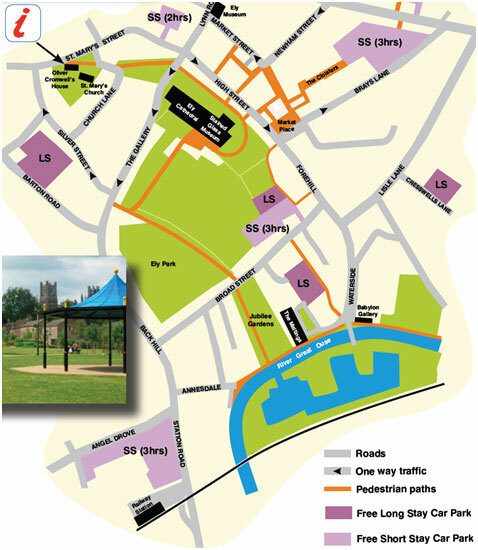 "The park is situated close to the centre of Ely. It forms part of a green corridor situated between the river Great Ouse and Broad Street. The river front end of the park links to Cresswells Pocket Park and Roswell Pits nature trail and the Broad Street entrance links to Ely Park. The park is bounded by residential properties to the north and south and a riverside walk to the east. The garden is formal and has a number of features including a toddlers play area, water feature and bandstand. Several events are held here including the Eel Day and Aquafest. ADeC also organise bands to play here every Sunday throughout the summer months. 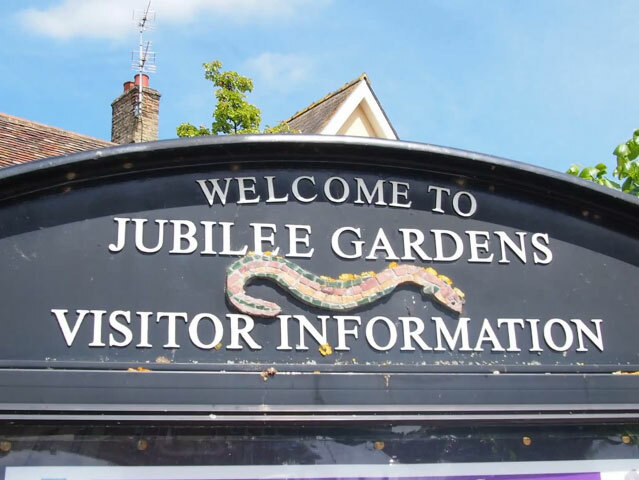 The councils Parks & Open Spaces team maintain the gardens and a community led group "Friends of Jubilee Gardens" oversees the development of the gardens. 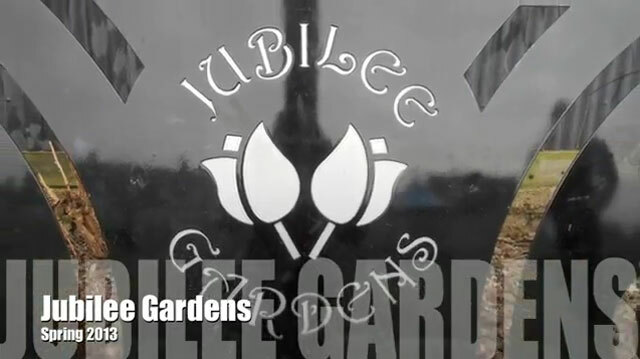 The gardens have secured Green Flag status since 2005. The award is designed to recognise and reward standards of excellence and is recognition of the high quality green space that the gardens provide to the local community in East Cambridgeshire.